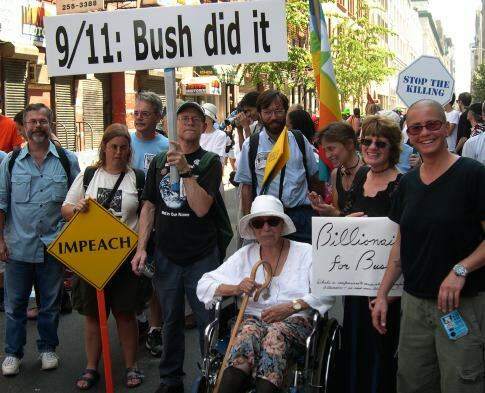 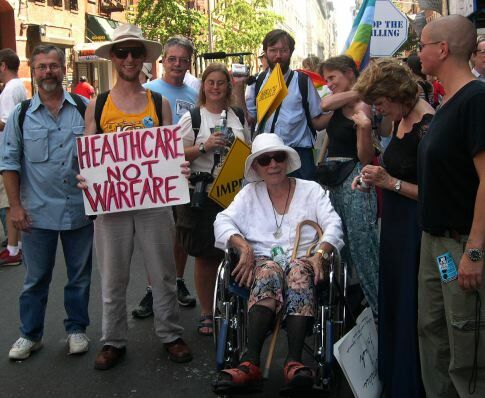 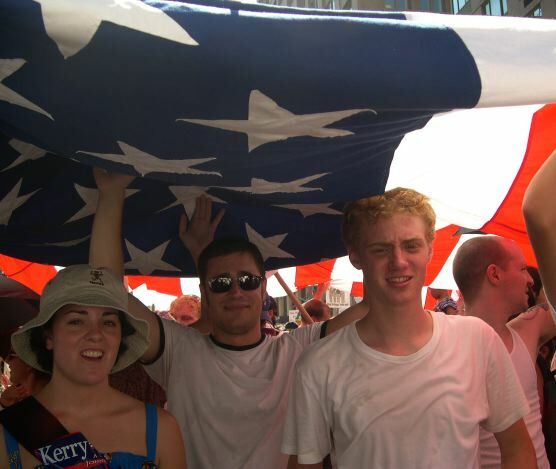 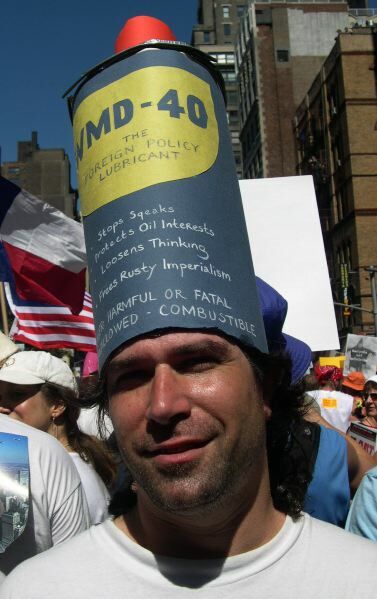 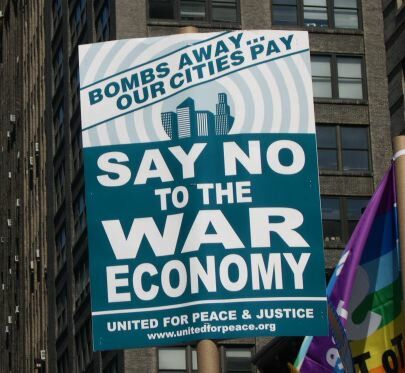 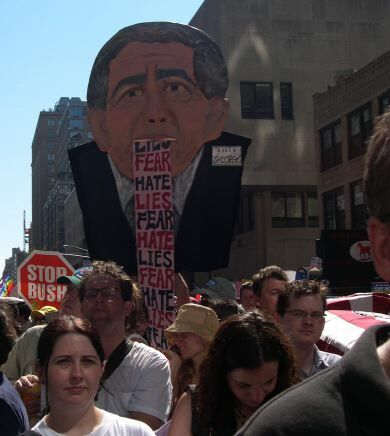 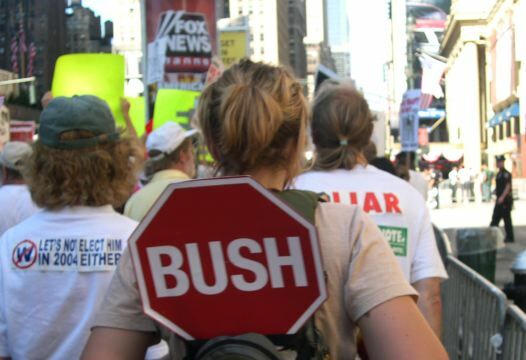 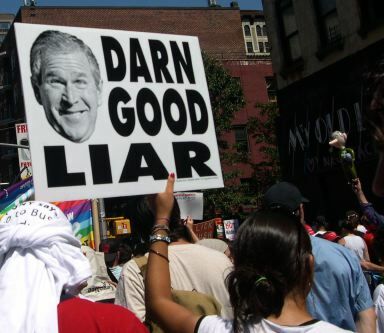 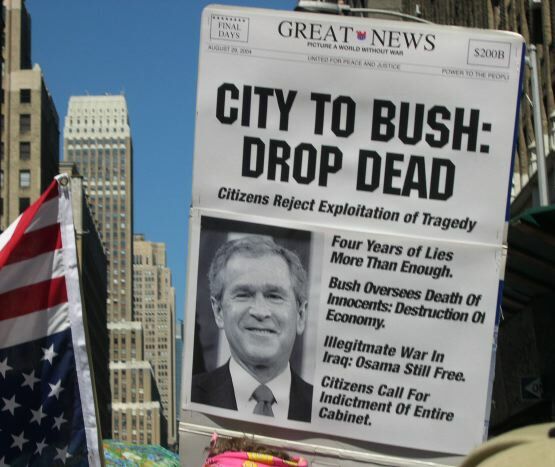 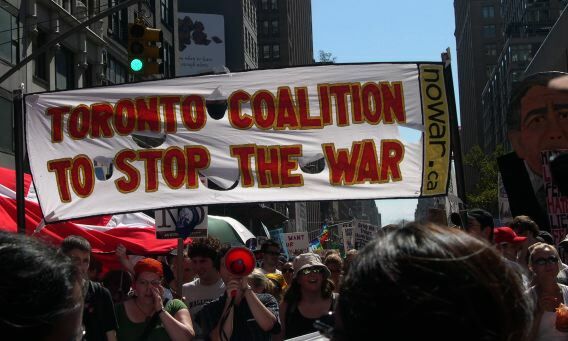 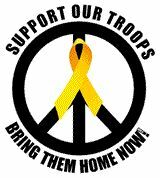 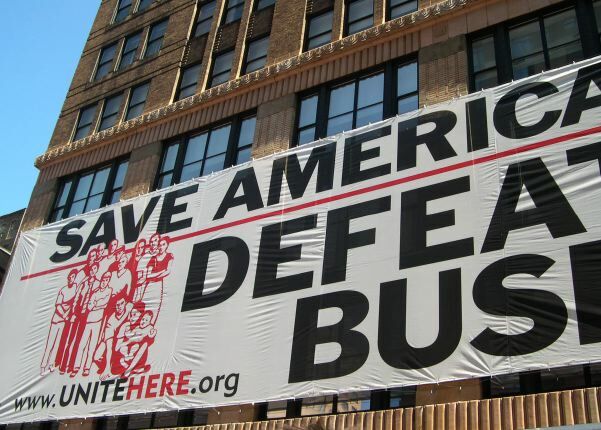 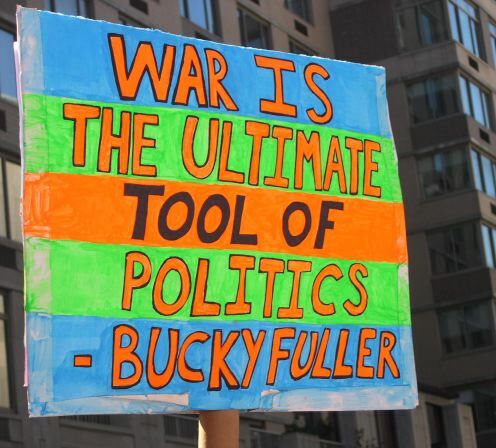 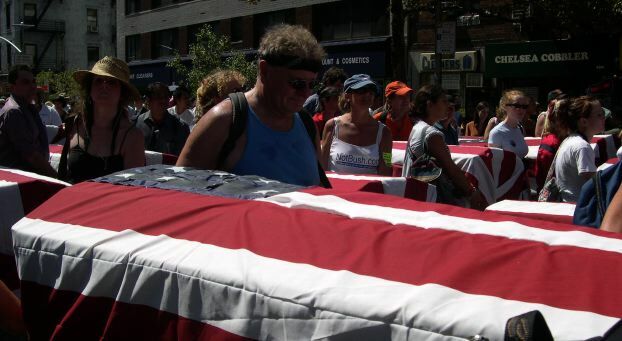 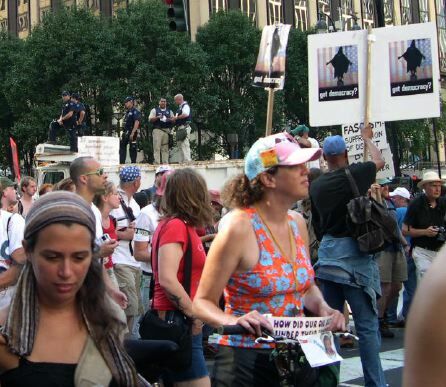 On August 29, 2004, a half-million* people marched in the streets of New York city to tell the world that they oppose nearly everything that the Bush/Cheney team stands for. 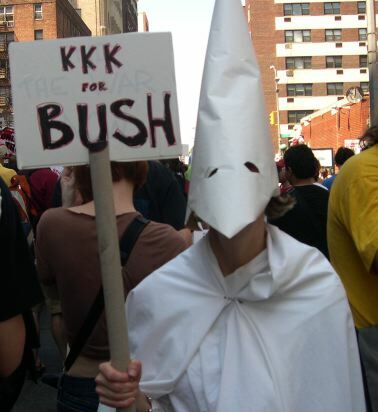 CCPJ was there. 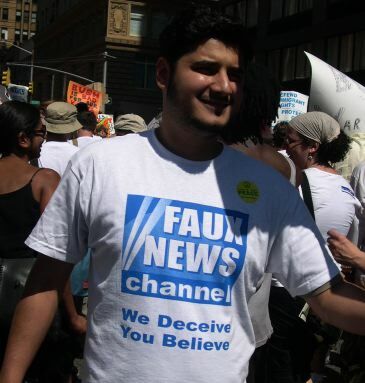 *Jay Shaft, editor of Coalition For Free Thought In Media reported: CNN PROVIDED AN ESTIMATE OF 1,000,000 ON SEVERAL OCCASIONS DURING LIVE COVERAGE. 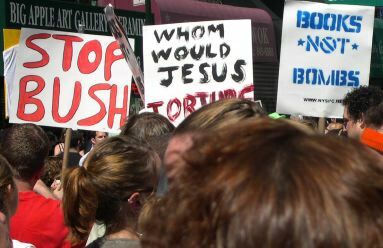 PROTEST ORGANIZERS ESTIMATED BETWEEN 500,000-1,000,000 PEOPLE WERE PRESENT AT THE TIME OF THE MARCH, AND AN NYPD SPOKESMAN SAID THEY ESTIMATED BETWEEN 750-850,000.